No kidding, my eyes are totally still dilated. This is crazy! 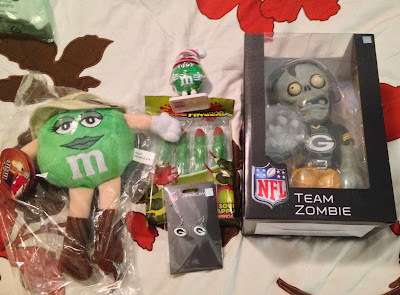 That's an India Jones green M&M, I'm pretty proud of myself for tracking that down. The limit was $30 and I am happy with what I was able to come up with, and I like the green theme I've got going. 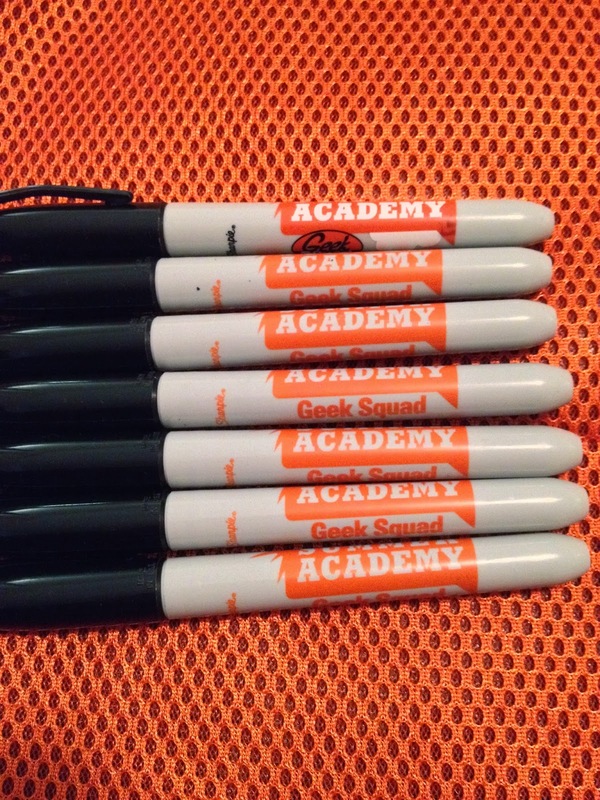 *Note, Geek Squad swag sent, but not pictured. 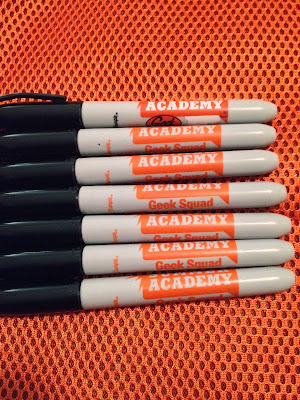 That is correct, the design of the GSSA sharpies changed this year. I totally didn't realize it until someone told me not to throw one of my old ones away when it dried out. Of course, this was after I'd thrown a couple away earlier in the summer.